Reno is a city in transition. Since the 1960s when divorce laws were relaxed, it could no longer lay claim to the dubious honor of being the divorce capital of the world. 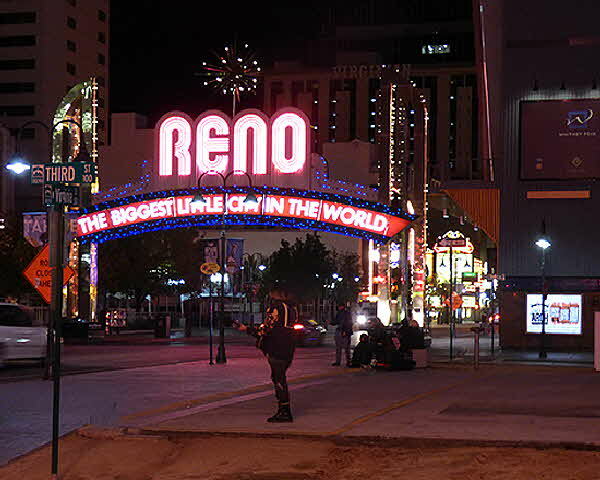 Self-styled as “The Biggest Little City in the World” but clearly in the shadow of Las Vegas, Reno is reinventing itself in an upbeat fashion as the place to get married, eat, drink and make merry. A leading force in this revival is the Grand Sierra Resort and Casino. 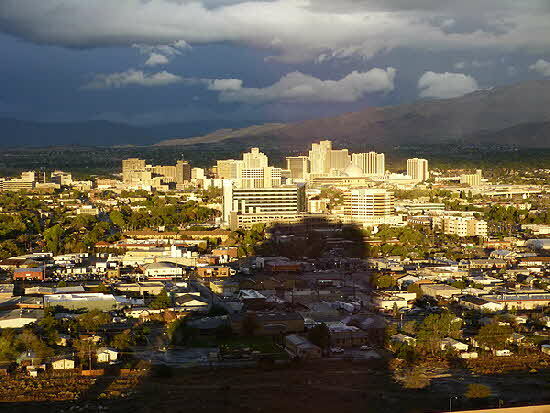 Just a short - and I mean short - drive from the airport and an equally short distance from center city, GSR commands the skyline casting its enormous shadow into the heart of Reno. Of course, being Nevada, casino gambling is a big part of the draw for Reno, but at GSR there’s so much more. The luxury hotel has been upgraded with refurbished rooms of generous size and contemporary design, elegant marble bathrooms with state of the art fixtures and outstanding designer carpets throughout the public spaces. The Grand Ballroom is 35,000 square feet and is part of the overall 200,000 square feet of meeting space offered at GSR. It is the largest space available in the area and has the professional in-house facilities to service large meetings and conventions. 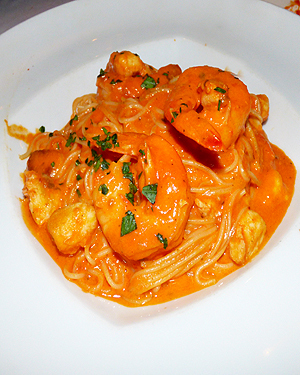 More than just a place to grab a meal, Restaurant Row in GSR features outstanding eateries; namely Charlie Palmer Streak with Executive Chef Dave Holman at the helm and Briscola with Chef Massimo Riggio heading the kitchen. 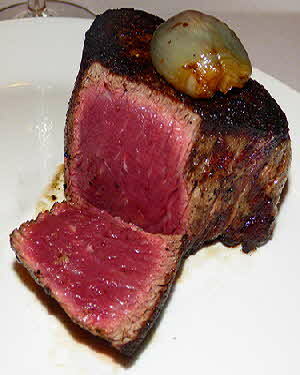 There is also Rim, a sushi emporium surprisingly located in the heart of the high-desert. 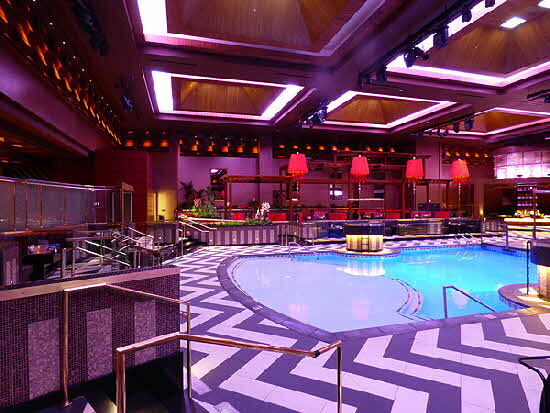 There is the 25,000 square feet knock-your-socks-off LEX Nightclub with three full bars and an indoor pool with a retractable glass dance floor that gives the illusion of dancing on water. Red velvet poles decorate some tables for those inclined to “swing to the music” and a sound and lighting system second to none. Construction was completed in 2014 for the princely sum of $15 million. A newly rebuilt performance space that holds up to 3,000 enthusiastic revelers, the Grand Theater offers bar service at your seat. The original theater was recently upgraded with an investment of $10 million and has bragging rights for the world’s largest indoor stage - large enough to house a Boeing plane from a previous production which is dwarfed in the enormous back-stage area. 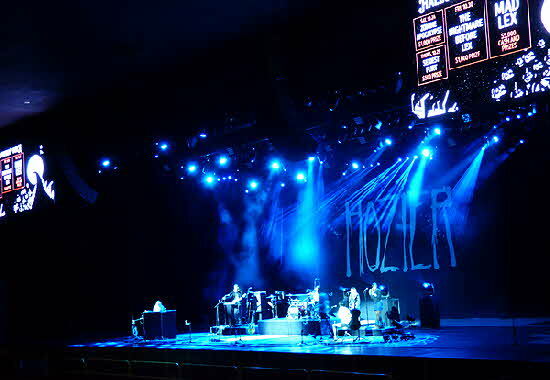 We attended a performance by Hozier, a hot band judging by the screaming and gyrating mainly female audience. The creative configuration of the seating and the special effects built into the theater support performers with the utmost dramatic impact. A state of the art Fitness Center is open to hotel guests 24/7 with room key entry. 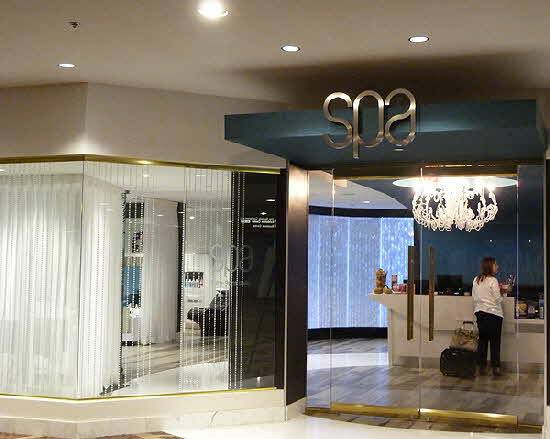 The Spa at GSR is a beautifully designed space offering all spa plus salon services and additional beauty offerings for those special events or weddings. GSR has a dedicated wedding service to help plan and organize weddings and a chapel on site. The Spa has all the expected features of eucalyptus scented steam rooms, dry saunas, whirlpools, de rigueur lounge rooms with complimentary beverages and snacks, and of course separate male and female fully equipped changing rooms. I was the happy recipient of both a signature facial and massage and both were top notch performed in comfortable settings by highly trained professionals. The lower level of the extensive property has a large area devoted to entertaining the younger set traveling with their parents. 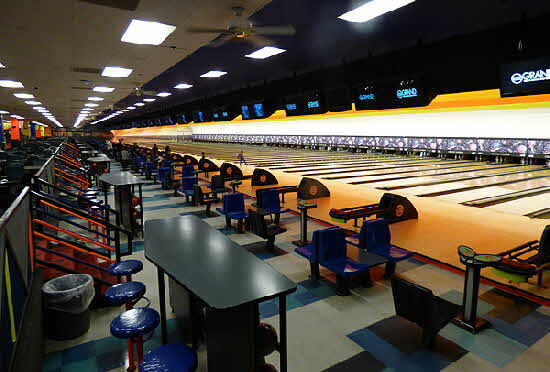 There is a cinema; a 50-lane Bowling Alley; a fun arcade with the latest in games; and children friendly restaurants and snack spots. Another special feature at GSR is an aqua golf driving range right outside the front door. A large man-made pond has islands strategically positioned and it was funny to see people hitting balls into a water hazard that they would normally avoid like the plague. 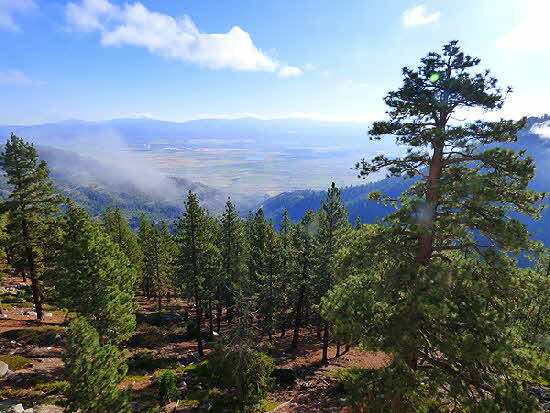 For those with time and a spirit of adventure a visit to the nearby towns of Virginia City and Carson City are a looking glass into the past. In 1859 the Comstock Lode was discovered in the Great Basin of the Sierra Nevada range near what later became Virginia City. The abundance of gold and silver attracted an international rush to the area that resulted in dividing the Utah Territory into two parts, and made Nevada a desirable entry into the Union. In 1864 Nevada became a state.